The Higher Level Apprenticeship in Accountancy provides young people with a practical, fully funded route to a professional career in accountancy. Employers from all sectors are offering ‘earn-as-you-learn’ contracts in accountancy. The programme is available through all six Regional Colleges in Northern Ireland and the Level 5 Diploma for Accounting Technicians is awarded upon completion. “Our partnership with Belfast Metropolitan College has helped attract smart, enthusiastic and engaged people into our business who might otherwise have thought that a career in accountancy was not for them. We have a proud record of developing young talent from all backgrounds and our diversity remains a strength that clients value. As a Higher Level Apprentice you will gain a Diploma for Accounting Technicians on a two-year work contract with an employer in industry, practice or the public sector. You will work four days a week with your employer and study one day a week at a Regional College. The programme provides a real alternative to university and is perfect for students who prefer practical learning to full-time education. 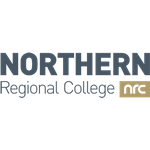 Northern Ireland’s six Regional Colleges are taking applications now – read on for details. Why become an Accounting Technician? Accounting Technicians are a vital component of businesses and organisations of all kinds, including industry, practice and the public sector. There is strong demand for Accounting Technicians in the Northern Irish jobs market, and our graduates are skilled to work in both specific and broader accounting roles. Accounting Technicians have excellent long-term career prospects, with the opportunity to progress to senior finance roles or to become fully qualified accountants. Graduates join a 10,000-strong Community of Professionals island-wide, with a vast network of members working in all sectors of the economy. Members enjoy strong support from Accounting Technicians Ireland, including excellent career services and life-long learning opportunities. A wide range of employers in industry, practice and the public sector are offering this exciting route into a professional career in accountancy. They are helping to create new jobs in a field that needs skilled workers, and apprentices become a valued part of the business as they are mentored through the programme. Read on to learn about the experiences of participating employers. Read on to learn more about Accounting Technicians Ireland, our ethos and how our qualification will help you progress your career in accountancy. The Higher Level Apprenticeship in Accountancy will be delivered through all six Regional Colleges in Northern Ireland. Please select the location near you for more.